Research has shown that one third of the population has not made a Will. Most people assume that all their possessions pass automatically on their death to their Spouse, Partner or members of the family. This is not necessarily the case. Having a Will drawn up is the best way to ensure that your wishes and the arrangements that you wish to make for your Estate are carried out after your death. A Will also protects your loved ones and family and reduces the financial worry for them during what is already a traumatic and emotional time. 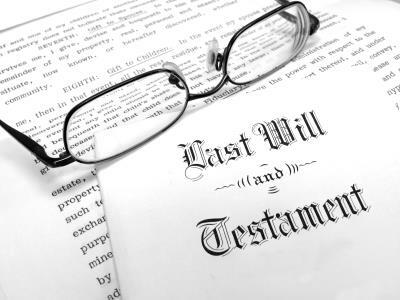 If there is no Will the Estate will pass under the Intestacy Rules and if the person who has died has an estate valued at more than £250,000, the spouse or civil partner will inherit all of their personal belongings and the first £250,000 of the Estate, and then half of the remaining estate with what is left being divided between any children. This rule does not apply to long term or 'Common Law' Partners. By planning ahead and making a Will during your lifetime means that you can ensure that your Estate is distributed properly. Our experienced team can advise you on the best way to preserve family's assets and wealth. Our Private Client team can also provide advice on the best way to minimise Inheritance tax liability and also preserve your family's wealth. We are also experienced in advising clients in challenging an Estate. We are fully accredited and also a member of the Law Society's Will and Inheritance Quality Scheme (WIQS) providing a best practise quality standard for Wills and Estate Administration advice. The fees set out below are a general guide. We can offer a more personalised quote if you telephone us and provide details of your circumstances. The fee for a single will starts from £300 inclusive of VAT and for mirror wills starts from £480 inclusive of VAT. The fees set out below are a general guide and cover; applying for the grant, collecting and distributing the assets. We can offer a more personalised quote if you telephone us and provide details of your circumstances. We can also discuss a fee based on the value of the estate. The hourly rate charged varies from £215 + VAT to £310 +VAT per hour dependent upon the fee earner involved. Total costs estimated at £2000 + VAT to £20,000 + VAT. -Probate application fee of £155. This is expected to increase in the near future. -£78.18 - Post in The London Gazette – Protects against unexpected claims from unknown creditors. -Post in a Local Newspaper, cost varies – This also helps to protect against unexpected claims. -If there is no will or the estate consists of any share holdings (stocks and bonds) there is likely to be additional costs that could range significantly depending on the estate and how it is to be dealt with. We can give you a more accurate quote once we have more information. -If any additional copies of the grant are required, they will cost 50p per copy (1 per asset usually). -Dealing with the sale or transfer of any property in the estate is not included. On average, estates that fall within this range are dealt with within 6-12 months. Typically, obtaining the grant of probate takes 2-4 weeks. Collecting assets then follows, which can take between 2-8 weeks. Once this has been done, we can distribute the assets; this normally takes 1-2 weeks.